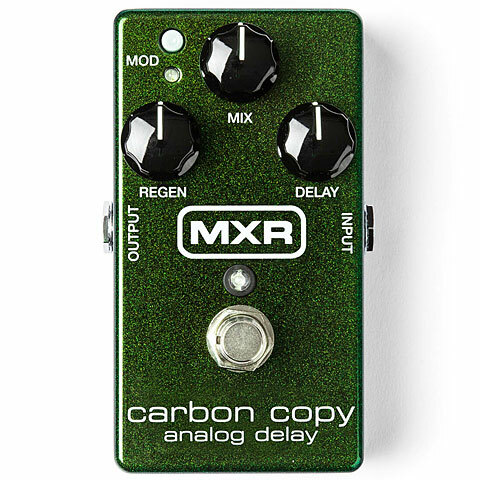 The MXR Carbon Copy Analog Delay features apure analogue audio path, delivering rich, warm delays using classic charged capacitor bucket brigade technology. The MXR Carbon Copy boasts 600ms of delay time, with modulation via a top-mounted switch, and a simple three-knob layout that controls Delay Time, wet-processed / dry-unprocessed Mix blend, and delay repeats Regeneration in an incredibly compact pedal! 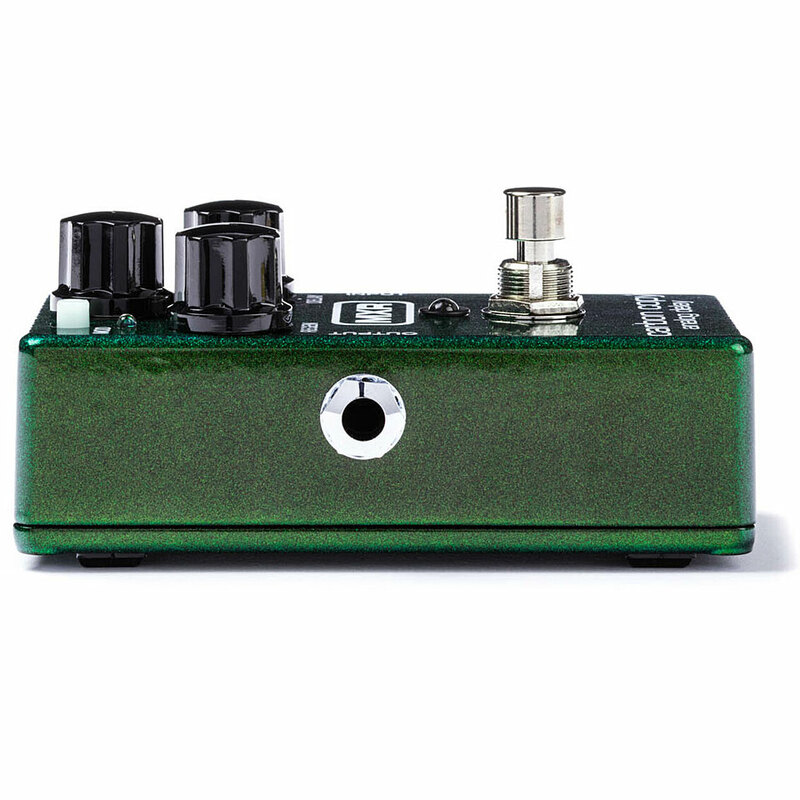 For additional tonal options, adjust width and rate control of the modulation via two internal trim pots. 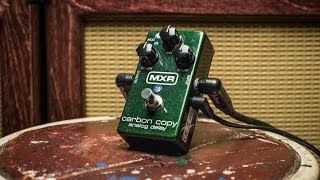 The MXR Carbon Copy delay pedal gives everything from crisp bathroom-like slap echoes to epic delays, all with the simple twist of a knob, stage-worthy blue LEDs and 9-volt operation round off this MXR Carbon Copy Analog Delay! Early rock music utilised tape-based delays to produce everything from fast slapback echoes to the multiple delays produced by effects units such as Roland's Space Echo. In the 1970s analogue delays were introduced that could produce delays as long as two seconds or more, though the delays quickly lost a lot of high frequency information. Modern analogue delays are quite good in retaining realistic high frequency content. MXR or MXR Innovations was founded in 1972 by Michael Laiacona, Keith Barr and Tony Sherwood, headquartered in Rochester, New York. The first MXR effects pedal was the M-101 MXR Phase 90, which was used, for example on the first two Van Halen albums. Over the years produced MXR a myriad of different effects even in 19 "format many of whom have become classics, but others just disappeared from the scene. Now MXR belongs to Jim Dunlop, wo is starting to bering out new creations and also new issues of older effects including some "Signature" pedals that are most often slightly modified classic. This item was given an average rating of 4.6 out of 5 stars. No review about this product has been written yet. 26 ratings exist without a text or these reviews are written in another language. · Show all articles of the brand MXR.